UPDATED: Thu., Nov. 16, 2017, 10:36 p.m.
SACRAMENTO, Calif. – Sarah Sharp finished with a match-high 17 kills and third-seeded Idaho opened the Big Sky Conference volleyball tournament Thursday with a 25-17, 25-18, 25-23 sweep of sixth-seeded Idaho State. Kaela Straw hit .474 and added nine kills, and Reece Carman had seven kills and four blocks while hitting .429 for the Vandals (18-10). Idaho will meet second-seeded North Dakota (28-17) at 4:30 p.m. Friday for a berth to Saturday’s championship match. The Vandals defeated North Dakota 3-2 at home on Nov. 4. Idaho dominated the first set, taking a 20-12 lead after Klaree Hobart’s three consecutive aces. ISU led the second set 4-0 before the Vandals rallied. The Bengals led the final set 19-16 before UI’s 5-1 run. Chloe Hirst had 11 kills for the Bengals, who finished 11-19. The other semifinal, at 7 p.m., will match fourth-seeded Portland State (21-8) and top-seeded Sacramento State (25-8). Sharp and Straw were among four Vandals honored on the Big Sky all-conference team. Sharp, a junior, was selected to the first team. Juniors Straw (Freeman High) and DeVonne Ryter were second-team selections. 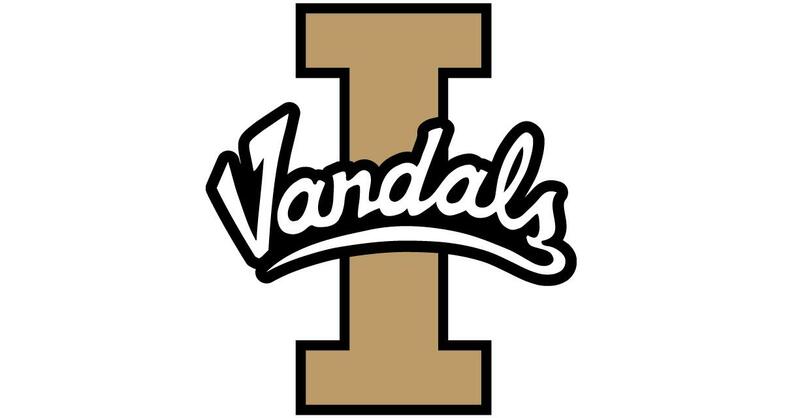 Vandals junior Alycia Wodke, a transfer from College of Southern Idaho, was tabbed newcomer of the year. Eastern Washington senior Ashley Seiler (Cheney High), who totaled 362 kills, was named to the second team. Kayla Neumann finished with a match-high 23 kills and hit .476 while leading North Idaho (32-6) to a 25-19, 27-25, 25-19 win over Shoreline (14-22) to open the Northwest Athletic Conference Tournament in Tacoma. The Cardinals, the East Region’s No. 1 seed, will meet Linn-Benton (32-8) at 12:30 p.m. Friday in the double-elimination tournament. Haylee Templeton added 35 assists and Rachel Leshikar had 15 digs for the Cardinals. CC Spokane (34-10) lost its opener to Bellevue (33-12) before bouncing back to eliminate Highline (22-21). Alisha Straw, Baylee Gorder and Taylor Gould had eight kills apiece in the 21-25, 25-12, 15-11 comeback against Highline. The Sasquatch will play either Chemeketa or Columbia Basin at 3 p.m. Friday. Emily Baptista finished with 11 kills while helping Pacific (14-13, 9-7 West Coast Conference) to a 25-19, 25-14, 25-17 win over Gonzaga (13-15, 8-8) in Stockton, California. The win allowed the Tigers to move into third place alone. GU, Santa Clara, Loyola Marymount and Pepperdine are tied for fourth place. Sarah Penner had seven kills, Jenna Kuehn 18 assists and Tiyana Hallums 10 digs for the Bulldogs, who will complete the regular season by traveling to Saint Mary’s on Saturday and hosting Portland on Monday. Gabriel Ruiz scored in the 98th minute to give Seattle University (15-3-4) a 3-2 overtime win over host Washington (12-7-1) in the first round of the NCAA Championship. Alex Roldan assisted on the winning goal, a quick shot from inside the box. The Huskies, who defeated Seattle 2-0 earlier in the season, forced overtime on Elijah Rice’s goal at 79:15. Rice stole the ball and got a 1-on-1 breakaway for his fifth goal of the season. UW’s Kyle Coffee scored his sixth goal of the season at 23:10. The Redhawks tied the match with Habib Barry’s goal at 38:51, assisted by Sergio Rivas, and Rivas had the go-ahead goal at 62:01. Seattle will meet Akron (16-3-1) in the second round on Sunday. Published: Nov. 16, 2017, 5:41 p.m. Updated: Nov. 16, 2017, 10:36 p.m.